I've done such "what's ahead" pieces before, but it's been a while. Why not kick off this fresh new year by giving TinkerTry fans a glimpse at the sorts of topics they can expect to see coming up soon? Things change constantly in any successful home lab. Surprises, discoveries, and life invariably alter the best-laid plans. That part of the fun, and sure keeps things interesting. For this particular short article, I'll just stick with teasers for the most likely topics. Taking more than 4 years to build up this site with 684 technical articles and hundreds of videos, I've finally been able to refresh and consolidate my home lab server and storage configuration. Naturally, most of these videos will feature my own Supermicro SuperServer SYS-5028D-TN4T Bundle 1, which is also easily convertible to a Bundle 2 by simply removing the video card. That said, most of the concepts and techniques can be carried over to similar configurations that folks may already have in their home labs. In other words, worry not, my articles will continue to be generic enough to be broadly applicable. Following along with these various projects will generally be sure-fire and faster if using identical hardware. Click to place your order on Amazon for 256GB or [faster] 512GB size, with 1TB arriving early 2016. That's just how PCs are, with conjecture about what might work and might not work in other's systems that I've never tried always a challenge. 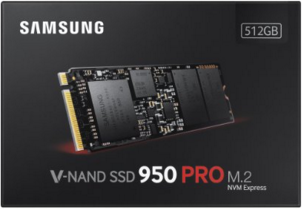 No better example of this is the world's fastest (and popular) Samsung 950 PRO NVMe M.2 drive that's gathered a lot of interest from folks wondering aloud whether they can boot from NVMe on their own systems, evident in the comments under the NVMe articles and videos. Hope you'll continue to enjoy my one-of-a-kind how to articles and videos throughout 2016, with plans to enhance organization and discoverability well underway. Here's where I talk about my plans to use the 950 PRO for both VMware ESXi 6 read cache and VMFS datastore duties, for my favorite VMs. Official TinkerTry polo shirts and stickers now available.